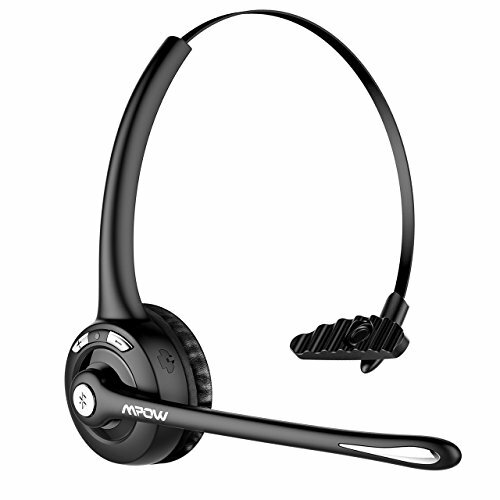 Mpow Certificate Mpow Professional Over-the-Head Driver's Rechargeable Wireless Bluetooth Headset is featured with Microphone Noise Cancelling and provides 12 Hours Talking Time. 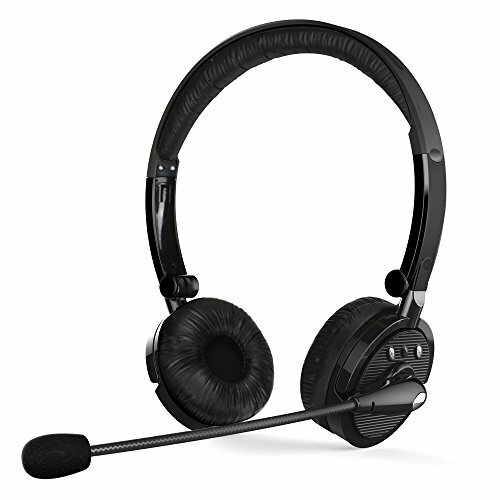 Excellent Sound Quality With advanced 4 X noise cancelling technology, Mpow Pro headset accurately and faithfully reproduces sound especially voices. 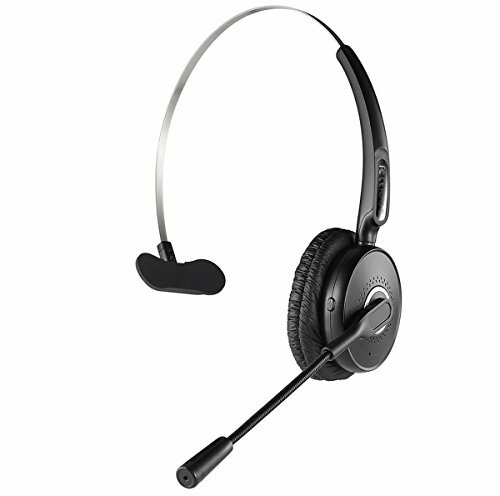 Outstanding audio on transmit and receive and truly made for two way communications. Humane & Comfortable Design The Skin-friendly ear-cushion as well as the over-head and light-weight design gives you an ultra-fashion, compact and comfortable experience. 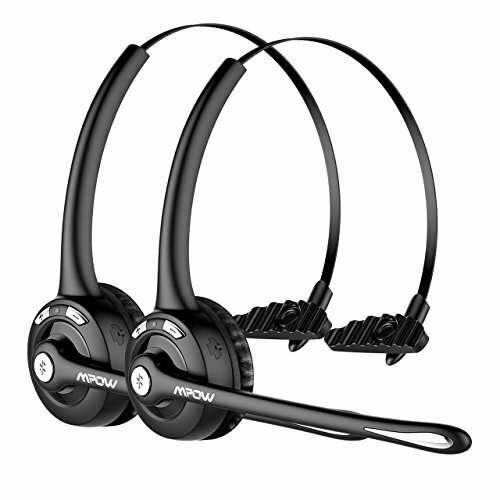 Specially Designed for Calling This Mpow bluetooth headset is specially designed for calling, not for music. 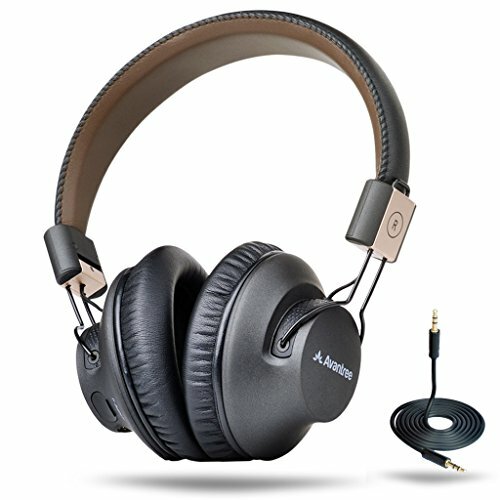 Cannot work for listening to music.It allows to connect two Bluetooth-enabled device at the same time. 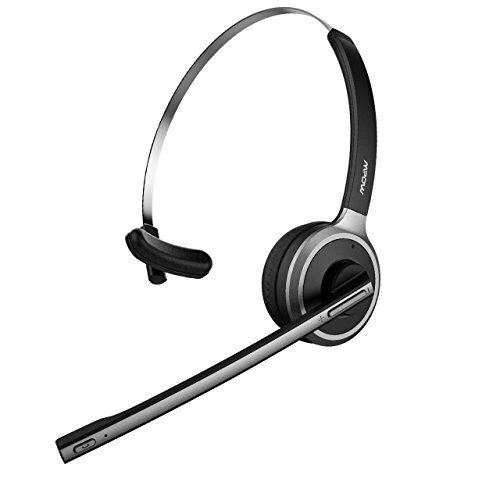 Specification: Bluetooth Mode: Headset/Handsfree Working Range: up to 30feet Talk Time: about 12 hours Standby Time: 200 hours Charging Time:2 hours Package Included: 1*Headphone 1*USB charging cable 1*User manual Warranty: Every Mpow product includes a 45 days money back & 18-month worry-free guarantee! 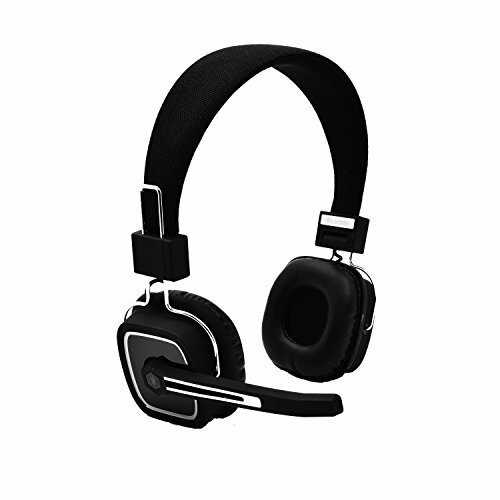 How to connect the headset with your smartphone: 1: Make sure headset is in OFF state. 2: When press and hold the MFB for about 7 seconds till the indicator light alternates between blue and red,indicating that it is in pairing mode.? 3: Active the Bluetooth to search Bluetooth headset state. Normally,this is done by going to "set up","connect"or "Bluetooth" menu to search Bluetooth devices. 4: The phone will find BH-M32 and ask if you want to connect,press "yes" or "Confirm" to confirm this action. 5: Enter password or PIN "0000",and press "Yes" or "Confirm" Specification : Bluetooth specification :Bluetooth? v4.1 Operation frequency:2.402-2.480GHz Supported profile:HFP v1.6, HSP v1.2, A2DP v1.2, AVRCP v1.0 Chip solution:CSR BC8635 Operation range:UP to 10 meters(Please makes sure no obstacle between headset and phone) Working time:About 27 hours Standby time:About 800 hours(Connected mode) Battery Capacitance:400mAH Charge time:About 2 Hours Package Includes:? 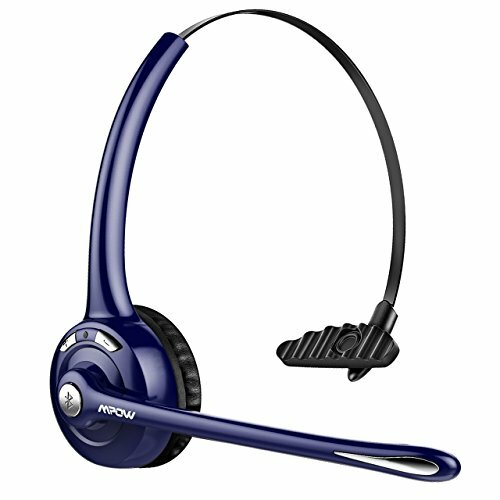 1 x Bluetooth Headset with Mic? 1 x USB Cable? 1 x User Manual? 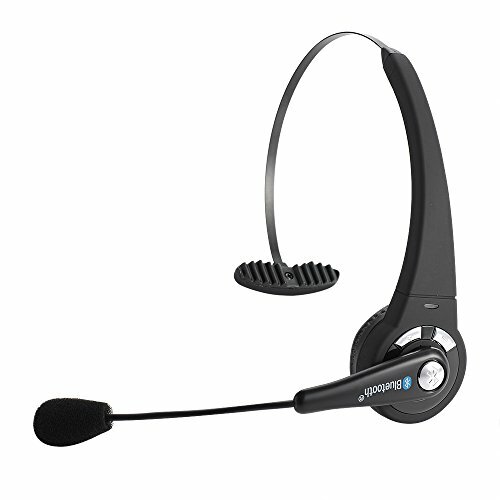 Noise Cancelling Microphone Bluetooth Headset: The microphone can be adjusted at will fits perfectly for your left or right ear, ultralight and comfortable design, Enlarged ear sponge cover almost covers your entire ear, ensuring comfort and clearer response features 3 kinds of Noise Canceling technology, Dual-Microphones design, and filters nearly all background noise, allowing you to talk and listen with improved clarity Smart Mute Button Allows you to quickly mute phone conversation to talk to person/s in front of you. Just tap the mute button, the other side can not hear your voice anymore. Crystal Clear Sound Equipped with smart CSR chip and HD speaker, offers you crystal sound. Technical Parameters Bluetooth : 4.2 Charging Time: about 1.5-2.5 hours Talking time: 20 hours Standby time:200 hours Compatible with iPhone 8 7 6 Plus 5 5S 4 4S iPad iPod Samsung Galaxy S6 S5 S4 S3 LG Motorola Sony and iOS/Android Mobile Phones. Almost 99% smartphones Package include 1 x Noise Cancelling bluetooth headpset 1 x Micro USB Charging Cable 1 x Sponge ear cover 1 x User Manual Choose this Arkey burds Noise Cancelling Microphone Bluetooth Headset and you will get all you want! 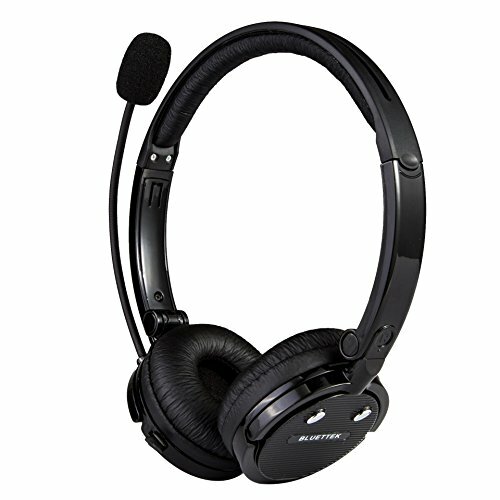 Compare prices on Bluetooth Over Headset at ShoppinGent.com – use promo codes and coupons for best offers and deals. Start smart buying with ShoppinGent.com right now and choose your golden price on every purchase.